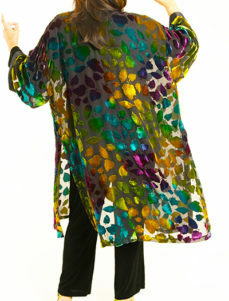 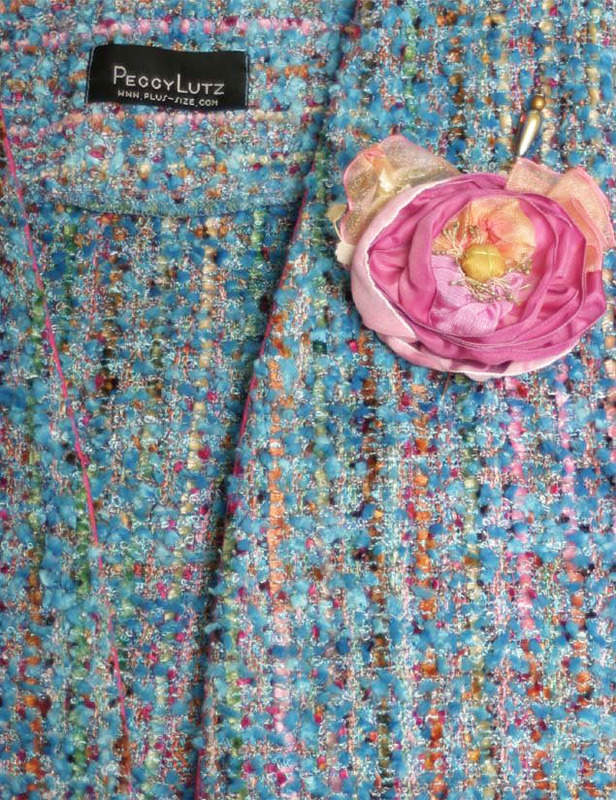 Special Occasion Jacket Chanel Silk Weave Turquoise Pink Sizes 14 - 32: Chanel silk/cotton boucle textured weave looks primarily turquoise, but close inspection reveals a secret rainbow of deep magenta to palest pink, burnt amber and pale jade, flecks of eggplant and lilac blue. 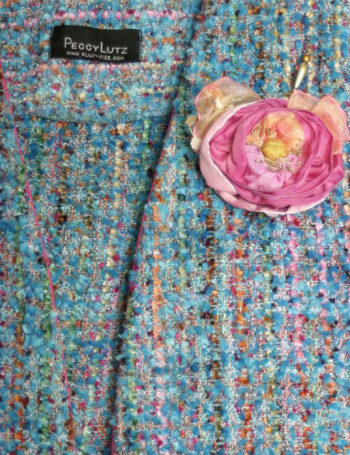 Your jacket is you, made to your measurements. Consult with us to create your signature look. Your Peggy Lutz Stylist will work very personally with you on all aspects of the creative process, ensuring you perfect fit and a beautiful result. 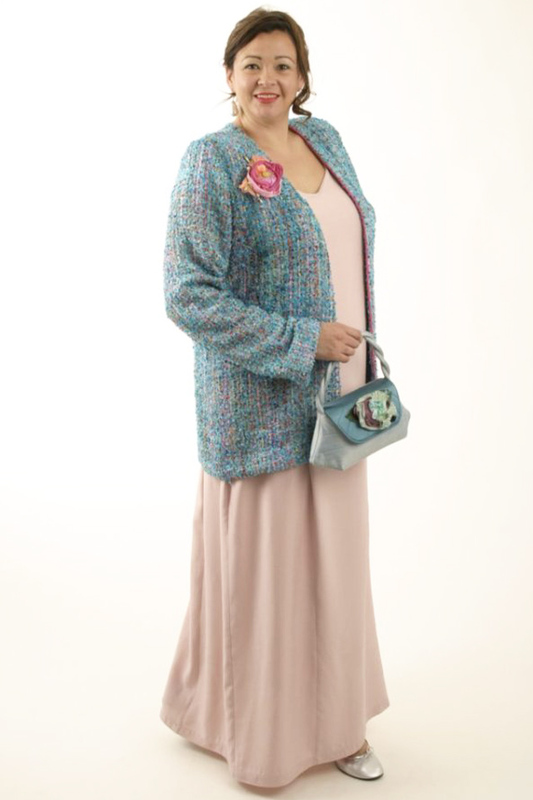 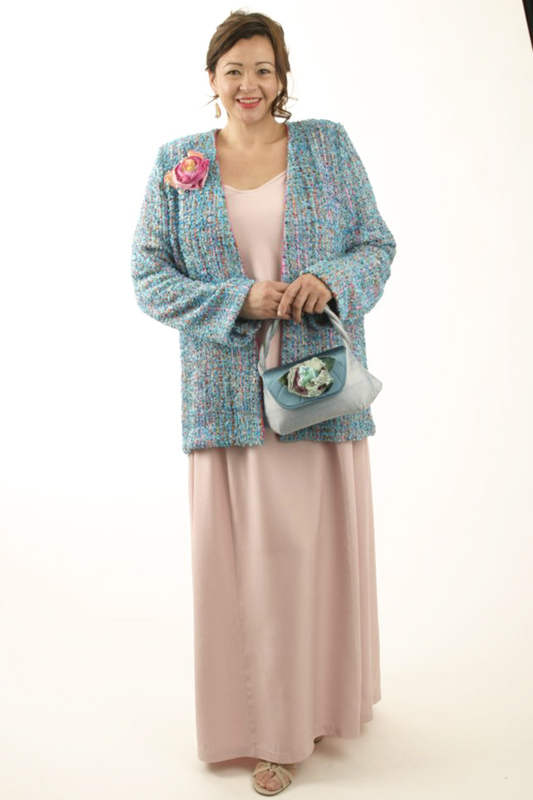 Be the first to review “Special Occasion Jacket Chanel Silk Weave Turquoise Amber Pink Sizes 14 – 32” Click here to cancel reply.